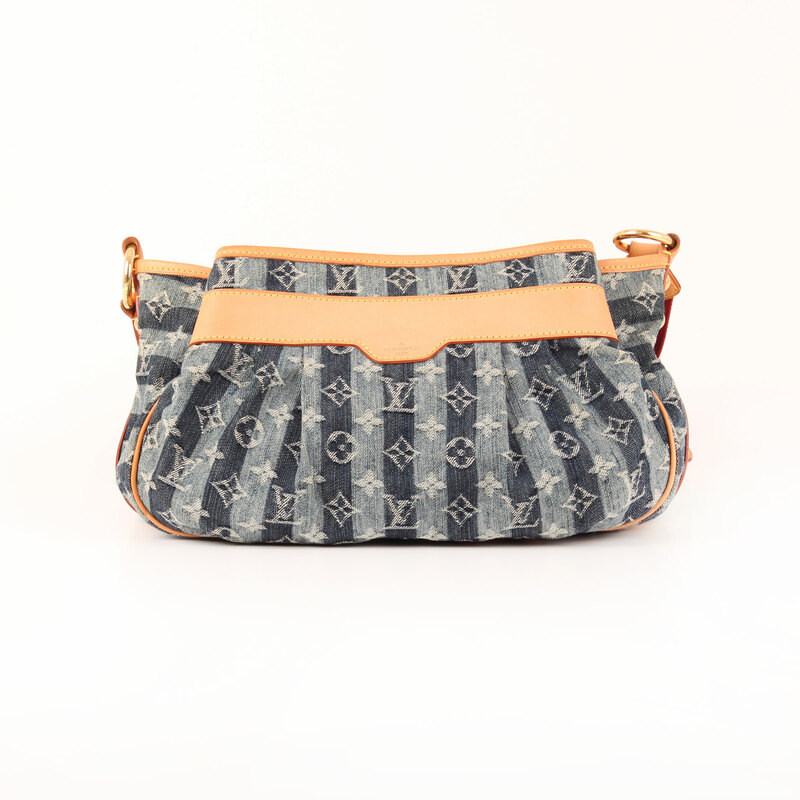 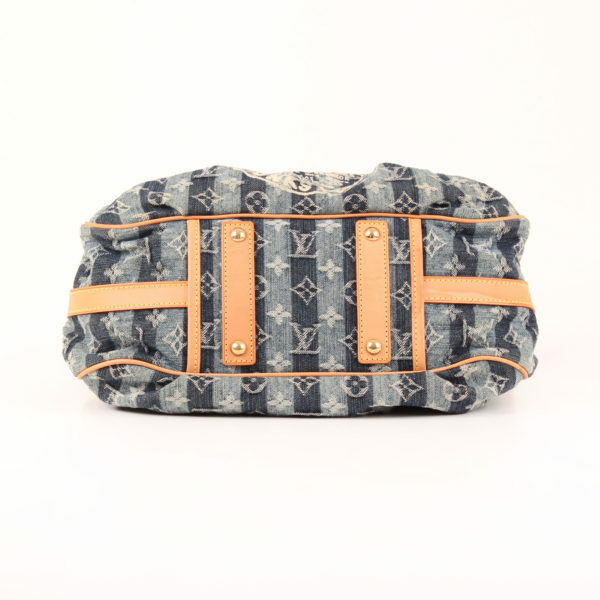 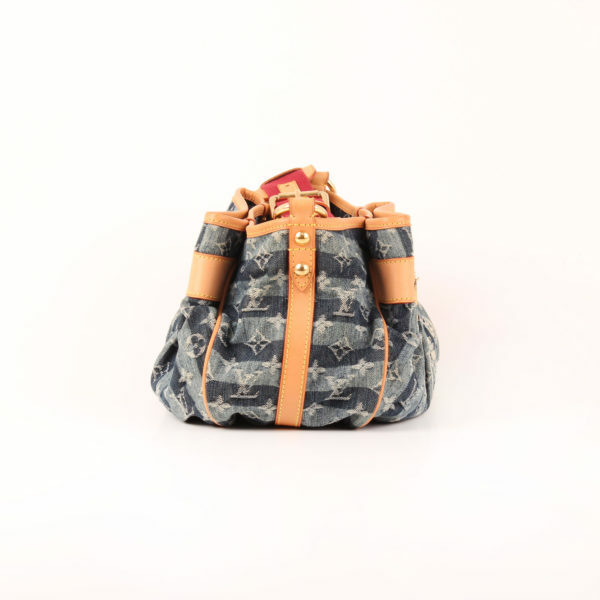 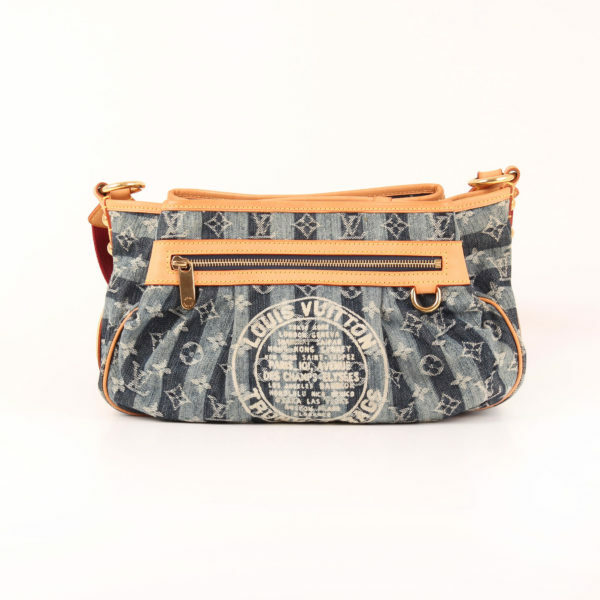 Louis Vuitton Bag Cruise Denim Monogram "Trunks & Bags"
This Cruise Denim Strip Monogram is a very roomy bag with several compartments. 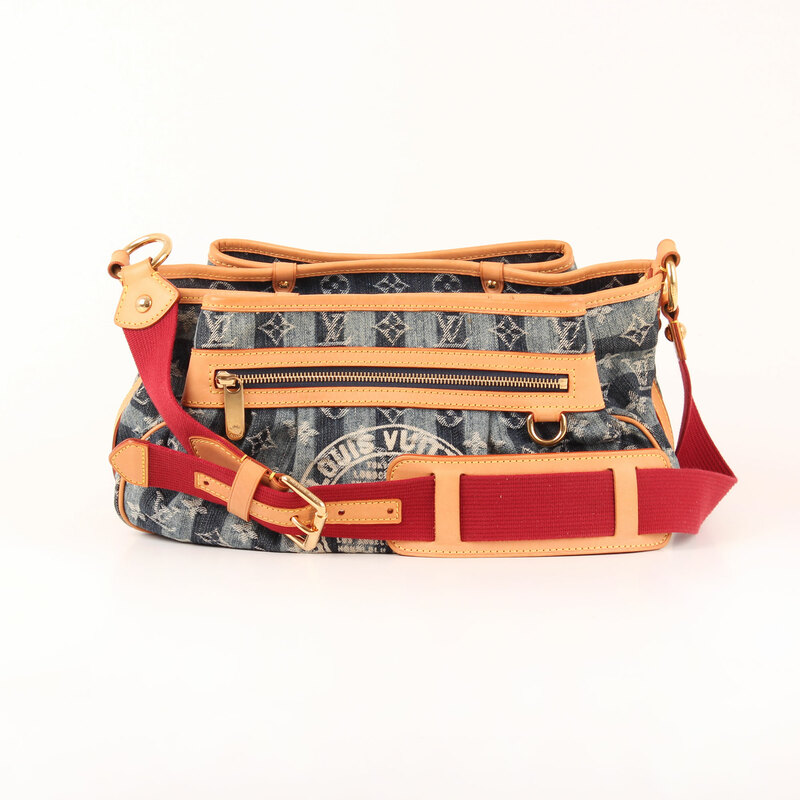 Thanks to the “Trunks & Bags” stamp and the red strap it offers a really fashionable look. 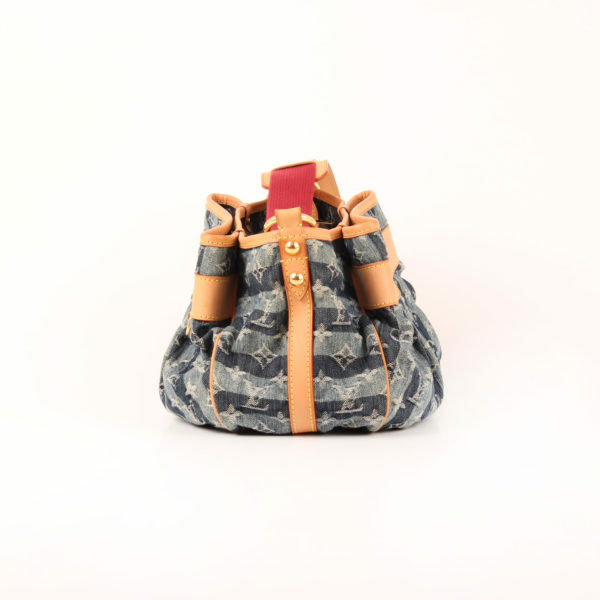 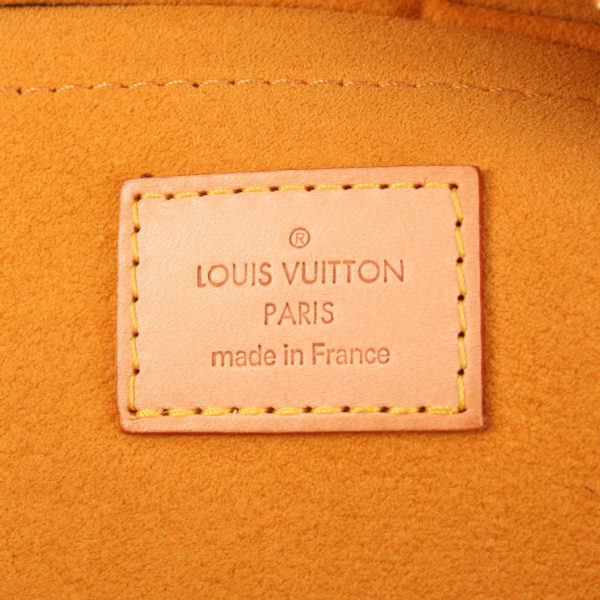 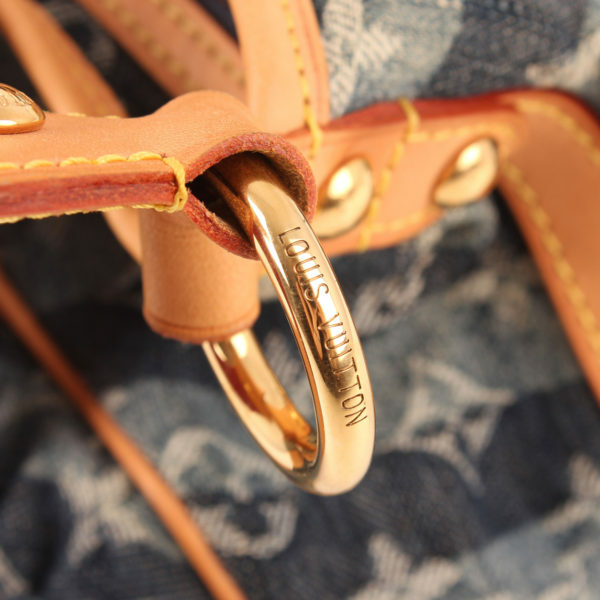 Louis Vuitton Bag in strip jean monogram, “Trunks & Bags” collection. 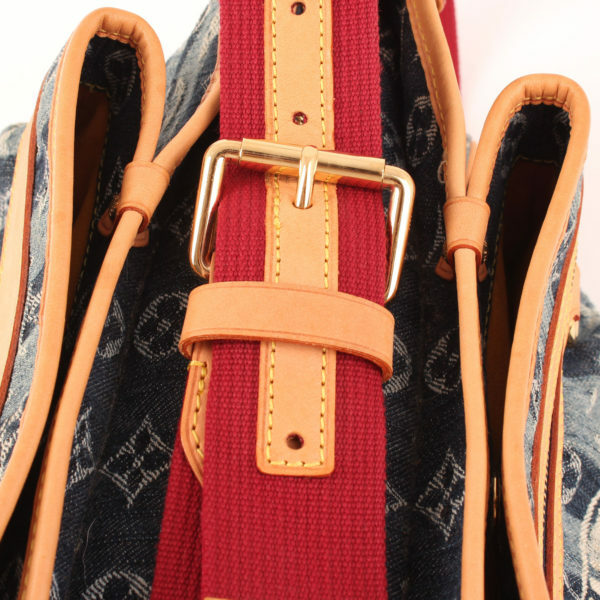 If features a red canvas strap and natural leather trim. Strap is adjustable and allows you to wear the bag on shoulder or cross body. 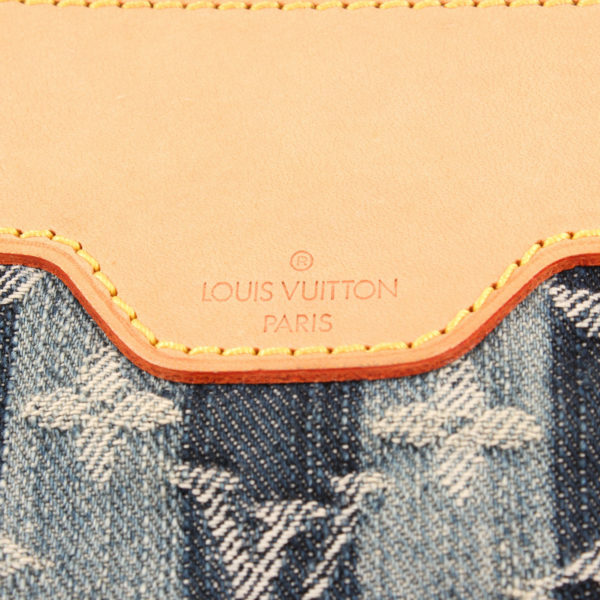 On the front part, just above the “Trunks & Bags” print, there is an open pocket. 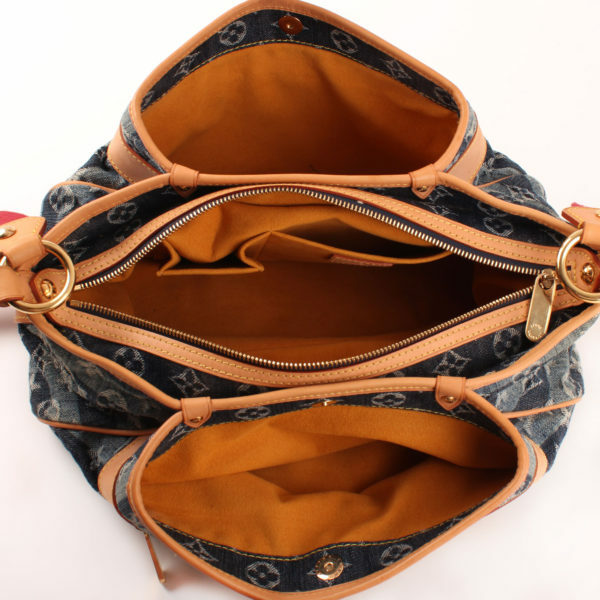 The bag has three compartments: a main, zippered close one and two adjacent and smaller with magnet clasp. Lining in yellow suede showing two open pockets. Jean fabric is pleated at base with leather trim. 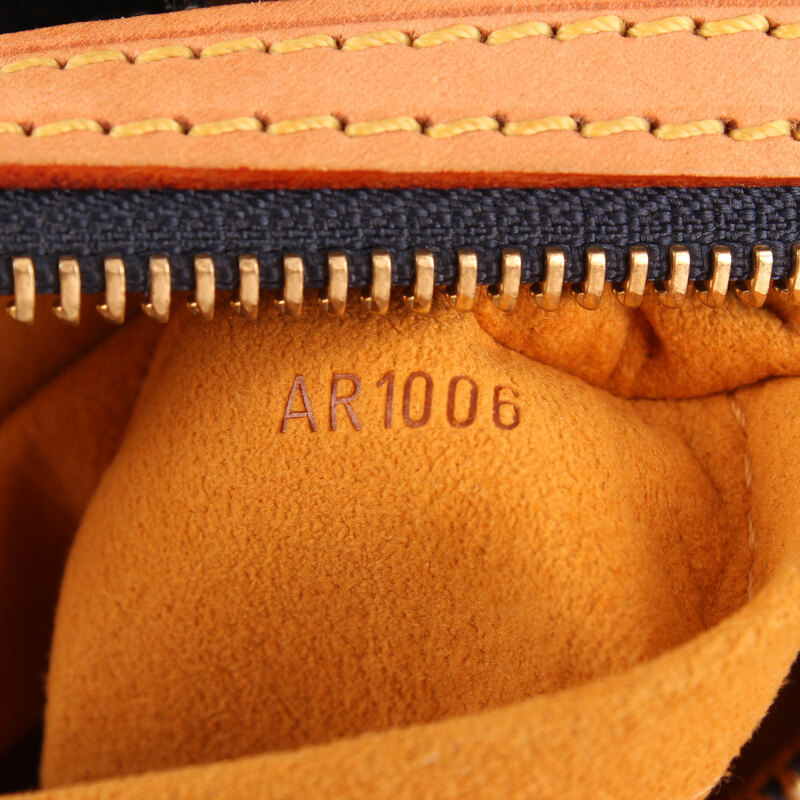 Details: Wrinkles in leather and a bit darkening in some parts.